I'd like to thank everyone for their enthusiasm for my book. I'm very happy that it's been received so well. 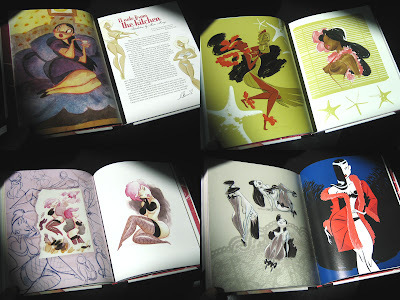 Unfortunately I'll not be able to fill book orders for a short period. Starting today Friday August 24th until Wednesday September 5th to be specific. So please hold off from ordering Belle Du Jour in that time, or if you do order please know that it will not be filled until September 5th earliest. Any outstanding orders as of this moment will be filled today. 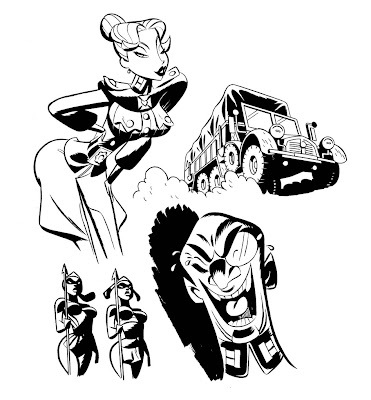 These are a few of the background elements for the French Rex Steele book cover. In the final they'll be partly covered by the foreground elements so I thought I'd show 'em in their entirety. 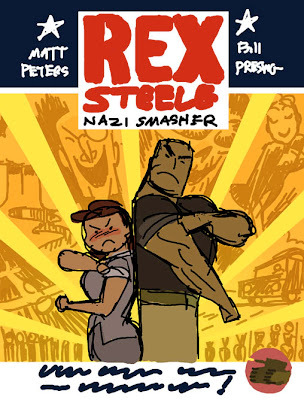 I'm very happy to announce that Rex Steele: Nazi Smasher is being published en français! In living fascist crunching color! It's being published by the fine folks at Akiléos. My buddy Nate Wragg is coloring most of it, but I'm coloring some too. Here's the rough for the cover. I'll post more as it developes. Mike Wieringo passed away just this past Sunday. I'm quite devastated by it, even though I barely knew him. I've been a huge fan and admirer of his work since I was a student. He was truly one of the greats in my mind, and truly humble. 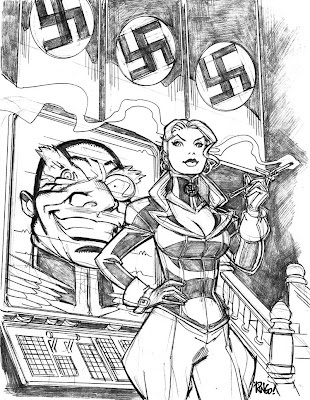 In appreciation I wanted to post this pin up he did for Matt Peters and myself for our Rex Steele book a few years ago. We will miss him. You can place your order with the paypal buttons to the right. Please let me know if you have any problems with ordering, it's largely untested and I'm learning how this works as I go. Sorry for the delayed post. I must have caught a really nasty bug while I was in San Diego, cause I've been stuck in bed for days. But I'm starting to feel much better, therefore I post! I could not have asked for a better con. By the end of preview night alone I had sold all of my special editions with bookplates accept for six, which sold quickly the next morning. Not only that, I completely sold out of the inventory that I brought with me. I really want to thank everyone who bought a book and helped support me, your enthusiasm was genuinely touching. I managed to do some commissions while I was there too, but by the end of the week two of them went unclaimed. 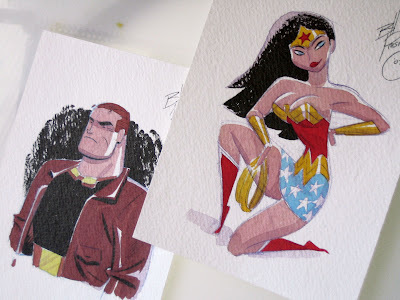 A Rex Steele and a Wonder Woman.